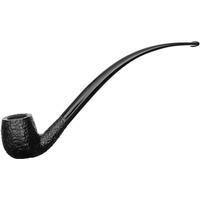 Savinelli makes a vast array of different churchwardens, presented in three main finishes (not counting the rather rare Punto Oro and Giubileo d'Oro graded churchwardens), and a panoply of shapes. 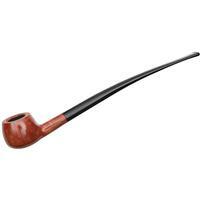 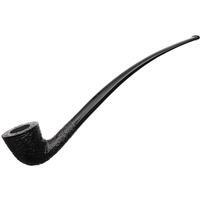 The churchwarden--in its modern incarnation--echoes the shapes of long-stemmed clay pipes, particularly those of the 18th century. 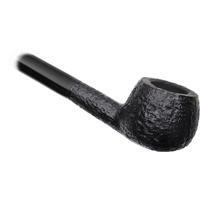 Of course, after almost a century of iteration and exploration of the idea in briar, there is now vast array of long-stemmed offerings under the churchwarden heading from a variety of pipe makers. 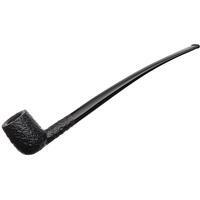 Savinelli is particularly prominent among those and is probably the largest producer of churchwarden pipes in the world at this point. the pairing of classic, elegant shapes with long acrylic mouthpieces--which have the advantage of not oxidizing as do vulcanite mouthpieces historically used for churchwardens--has made Savinelli's Churchwarden series a benchmark among enthusiasts of long-stemmed pipes.